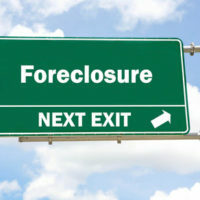 The First District Court of Appeal of Florida recently held that although HUD (Department of Housing and Urban Development) regulations are a condition precedent to foreclosure, borrowers must raise the issue and timely challenge any foreclosing bank’s compliance with the regulation in order to rely on these regulations in challenging a foreclosure. The mortgage established the bank’s remedies in the instance the borrower defaulted on the loan, subject to limitations set forth by HUD regulations. Specifically, the issue in this case involved the right for borrowers to have a face-to-face interview with the mortgagor under some circumstances, but only if the mortgaged property was not located within 200 miles of the mortgagee, its servicer, or a branch office of either (amongst other exemptions). 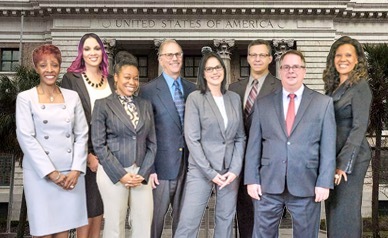 The trial court ruled in favor of the bank’s argument that the right to a face-to-face interview did not apply because the branch did in fact exist within 200 miles of the property. Here, the appeal turned on both whether a HUD regulation is a condition precedent to foreclosure and whether compliance with the HUD regulations was properly and timely pled. First, the Appellate Court ruled that the HUD regulation was a condition precedent to foreclosure because contract provisions are conditions precedent or subsequent, where the express wording of the disputed provision conditions formation of a contract and/or performance of that contract on the completion of those conditions. Specifically, a condition precedent is an event that must take place before a contract is enforceable, while a condition subsequent is an event that may arise after the formation of a contract that allows for the termination of the contract. Here, the note expressly provided that it did not authorize the lender (bank) to accelerate on the loan when acceleration is not permitted by HUD regulations and the mortgage states that the bank’s right to foreclosure is limited by HUD regulations. In other words, the bank’s right to foreclosure on the mortgage arises when these conditions have been satisfied, making those conditions (the HUD regulations) a condition precedent. However, in this case, the court also found that the borrowers failed to timely raise it as an affirmative defense, and even if they had raised it in a timely fashion, the evidence supports that the bank wasn’t required to comply because the property was more than 200 miles from the bank and its servicing branches. If a bank brings a foreclosure case on a homeowner, it will need to work with an experienced attorney to ensure that any and all regulations have been complied with in conjunction with the foreclosure action. If you are dealing with a foreclosure issue, contact HD Law Partners right away to discuss your options with one of our experienced attorneys. We serve clients all over Florida, and we’re here to discuss your options.